With the Mets inability to acquire a shortstop this winter, it makes the Mets decision not to give former Met Jose Reyes even a contract offer, more questionable. In his last season with the Mets, Reyes was coming off a strong season in New York that ended with a batting title. The Mets elected not to trade Reyes at the trade deadline, thinking they could resign him. It just doesn’t make sense why they didn’t make him an offer then but they still felt that Ruben Tejada could be a cost effective replacement. That wasn’t the case in 2013 and the Mets are scrambling for a new shortstop. The Mets are unlikely to find that new shortstop based on Sandy Alderson’s recent comments. “We’ve improved the team at other positions. And so giving Ruben a chance to reestablish himself as an everyday player isn’t such a bad thing. But we’ll continue to monitor what’s there from the trade market and conceivably free agency, although there really isn’t much left there.” Alderson told ESPN’s Adam Rubin. Jose Reyes would solve a lot of the Mets problems right now. The team is actively looking for a leadoff man as well as a shortstop and Reyes is one of the best in the game at filling both of those positions. Reyes signed a six-year deal worth $106 million two years ago but based on the numbers that other shortstops have signed since, that contract doesn’t look so bad. Jhonny Peralta got $52 million from the Cardinals last month coming off a PED suspension and is older than the 30-year old Reyes. Elvis Andrus got $120 million over eight years and he isn’t half the shortstop Reyes is offensively. The Mets offense despite some additions in the outfield is still a below average lineup. Reyes would have changed that as when healthy is a dynamic top of the order hitter that simply hasn’t been replaced since he left Queens. Reyes, now in Toronto won’t be traded by the Blue Jays so don’t get your hopes up Met fans. This is simply the one that got away. After coming into the season as title contenders and finishing in last place the Toronto Blue Jays will look to shake up their team. 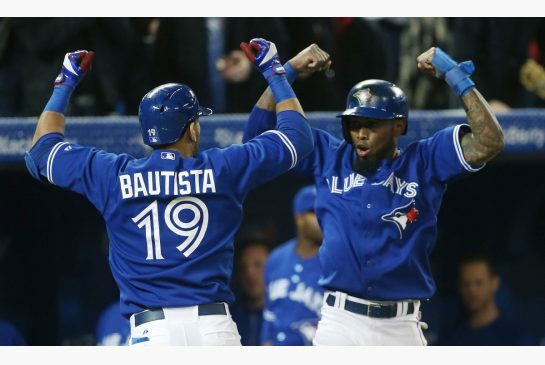 One of the ways they could do that is by trading OF Jose Bautista and SS Jose Reyes. The Blue Jays would want major league starting pitching in a deal for either player. Bautista, 33, is coming off another strong season although he did miss nearly 50 games. He is a Sandy Alderson type of player who walks a lot and hits for a massive amount of power. He should have a strong market if the Blue Jays truly make their star right fielder available. We all know about Jose Reyes and while it is plausible to think that the Blue Jays would trade him I don’t think he will be making a reunion to Queens anytime soon. Sandy Alderson didn’t want to sign Reyes as a free agent in the first place, why would he give up prospects now along with taking on the $86 million left on his deal? The answer is Alderson won’t. In fact I think there is a much better chance that if Reyes ever comes back to New York, it will be as a Yankee. Although I don’t believe that scenario is likely either. 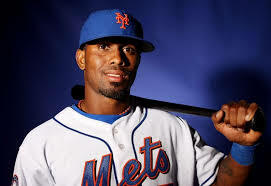 Reyes has made his money because of his legs and in 2013 he stole just 15 bases in 93 games. If the Blue Jays wanted they could trade him but I don’t think they could get a ton back in return when he has 4 years left on his deal for $86 million and is coming off another year where he missed a lot of time. I’m very skeptical that the Blue Jays who only have had their core together for one year, would make such a drastic move like this. Bautista has become the face of their franchise and has emerged as one of the greatest power threats in the game over the past four years. He is also on an affordable contract, 2 years and $29 million with one team option year. 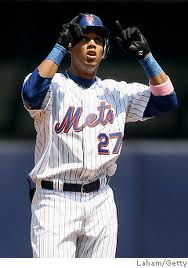 Plus I don’t think Reyes is the best option for the Mets right now despite their enormous hole at shortstop. Should the Mets be interested in Reyes or Bautista? In a very intriguing piece Dominic Lanza breaks down what all 30 ball clubs would look like if they still had all their homegrown players. The Mets would look very different most notably on offense. The Mets could have had an outfield of Cruz, Pagan and Carlos Gomez which could probably be the best in baseball. That being said, the Mets weren’t the only team to give up on Cruz and Gomez, both of which have become All-Stars. Having Jose Reyes here still could help with filling out the infield which could really use a shortstop right now. That being said the Mets have developed some great pitching over the last few years and have done a solid job of keeping it here in New York. This is a very fascinating article by Dominic and you should definitely check out http://itsaboutthemoney.net/archives/2013/08/12/the-all-homegrown-mlb/ to see what all 30 teams would look like with all homegrown teams.